We at the Hambacher Forest have been resisting enviromental destruction by the largest coal mine in Western Europe for the last three years experiencing 3 major evictions and numerous police and security actions. Now we are facing a new peril. Our support camp with its vegan kitchen, theater, infoshop and 2 libraries, numerous living and guest spaces is facing legal proceedings in Aachen on the 21st of May with a demonstration of support on May 16th in Cologne. The Meadow Support Camp has become a canvas for building with strawbail, green roofs, renewable energy and biodynamic farming. It is also a home to many activists including two families with children. Suppoting at the same time two forest occupations, direct action campaigs and public events. This is the court that will be attempting to use building code regulations to destroy structures in the Meadow Support Camp. It is the same regulations that are regularly used against earthship, straw bail and other informal architecture and spaces in favor of resource extraction rich(wasteful and destructive) habitats and interests. Police and RWE-Security in the forest clearing barricades. At around 11 o’clock, police, RWE and securities appeared at the occupations in the Hambach Forest. They cut several climbing ropes, imposed dismissals and surrounded the living barricade. This is not the first time climbing ropes where cut as a sabotage. This is a life threatening and useless action on behalf of the police and RWE. This happens after the ‚dialog‘ in the state parlament in Düsseldorf with the police, the ministry of internal affairs, the parties, RWE and the regional initiative on the 20th of april this year. After the annual general assembly of RWE last week and the human chain in Garzweiler last weekend. This is supposed to be the energy transition and the dialog that is held. The interest of economy and those who are payed by them are in the foreground. 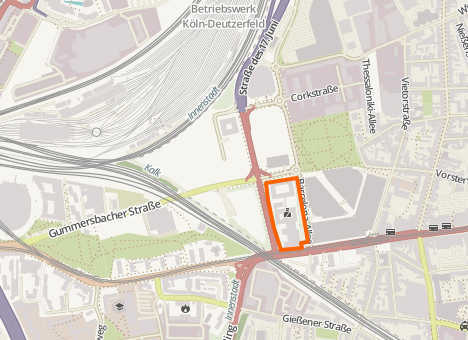 On the 21th of may, the administrative court in Aachen will decide if the meadow occupation could be immediately evicted. This is a callout to all people who want to resist against the destruction of landscape. During the night, the persons in front of the police station was switched. It remains calm with no rain. Come around and bring breakfast. Hof coffee and tee are welcome. Blankets, Matrasses and rice to eat have been brought. Here you can find a film documenting the assaults of the RWE security against activists. They are apparently talking about the supposed digger occupation of 06.04.2015. Greetings from the police station in Kalk, we are preparing for a long night. We just received the sad message that a friend of ours, who has previously been held captured in Hürth, has now been transfered to the prison n Cologne/Kalk. A release is not in sight. As she has been locked on, they charge her pf ‘resistance against executory officers’We send you power and strenght… . 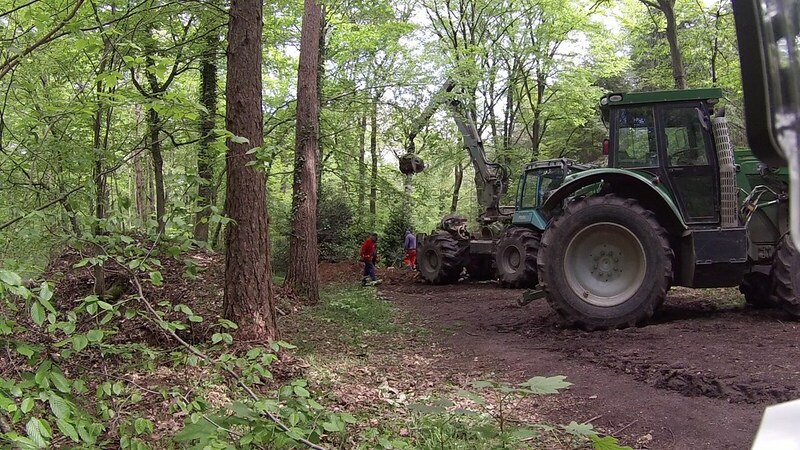 The police operation was commissioned by the regional forest department Rhein Erft. One of the many institutions which are closely related to RWE and who support the depletion of the Hambach Forest, as has been shown in the last years during similar operations. 10:20 AM – 30 Cops arrive at the blockade. They try to steal the contaktphone. 10:00 AM – And again. Another group of activist starts a lock-on blockade close to Buir. 9:50 AM – Police tries to evict the Tripod. The other activists were arrested. 7:30 AM – About 8 more police cars arrive. 7:00 AM – The sun rises slowly, and a Security Guard remains in the distance. Some policemen/women are standing at the blockade. 6:30 AM – Police arrive with more security guards. A person is sitting on a 3-legged tripod structure and another person is sitting on the train tracks, around the tripod. 6:00 AM – An RWE security guard arrives with dogs and flood lights. 5:30 AM – Several people are on the tracks of the Hambach coal train. The blockade point is between the coal storage silo (?) and Buir.